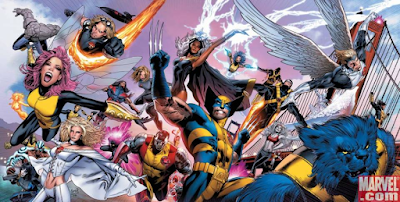 The X-Men – everyone’s favourite mutants – are hugely popular, thanks to seven feature films since 2000, with more on the way, and to the enormously successful comics that have been running for over 50 years. With that kind of exposure, they can have a real influence on the public perception of genetics, grounded as they are in ideas of mutation and evolution of the “next stage of humanity”. So, is there any real scientific basis underlying these stories? Well, to a geneticist, most of the supposed mutant abilities of the X-Men and their mutant brethren are frankly ludicrous. No matter how mutant you are, the laws of physics will still apply! (Except for Entropy Man of course). But some of them are less far-fetched, reflecting the strange and wonderful world of real-life biology. And underlying them all is a much deeper mechanism that has, in the real world, a profound effect on how mutations contribute to evolution.